The Guru’s sandals (padukas) are traditional symbols of the Master’s grace and wisdom. 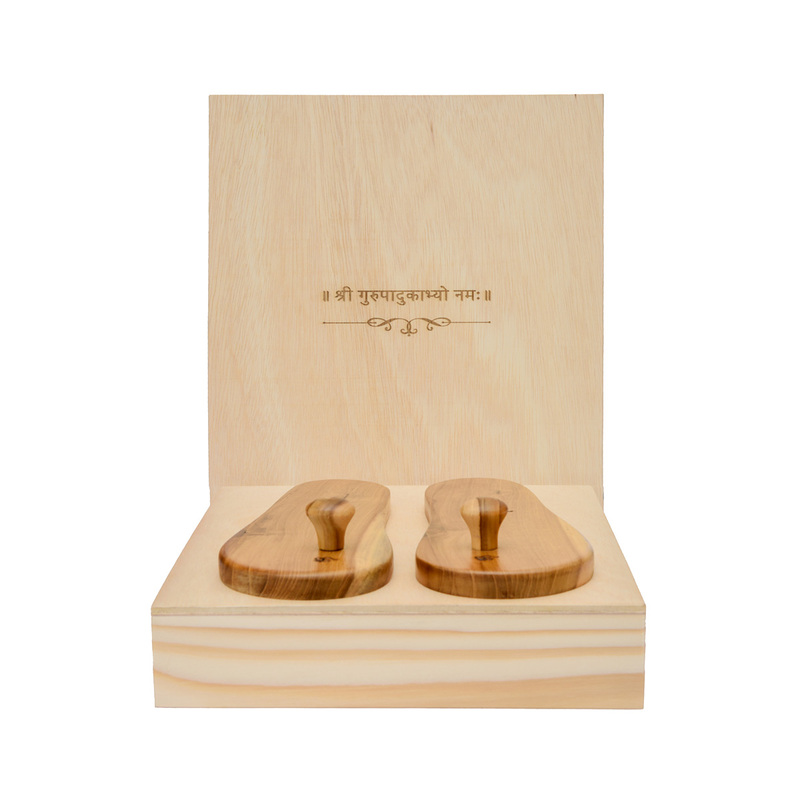 This wooden padukas are made from trees planted in the gardens of Gurudev Siddha Peeth. This padukas contain the energy that is collected in those trees over the years. It comes with a finely made wooden box to keep the Padukas.